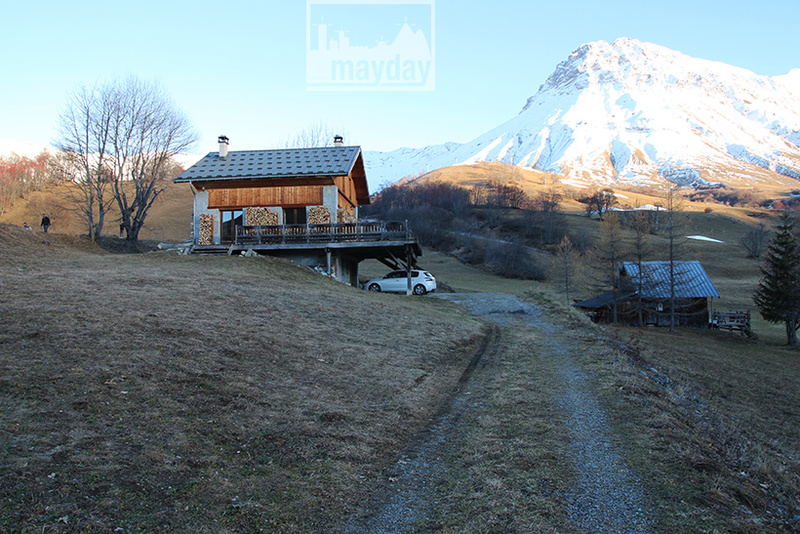 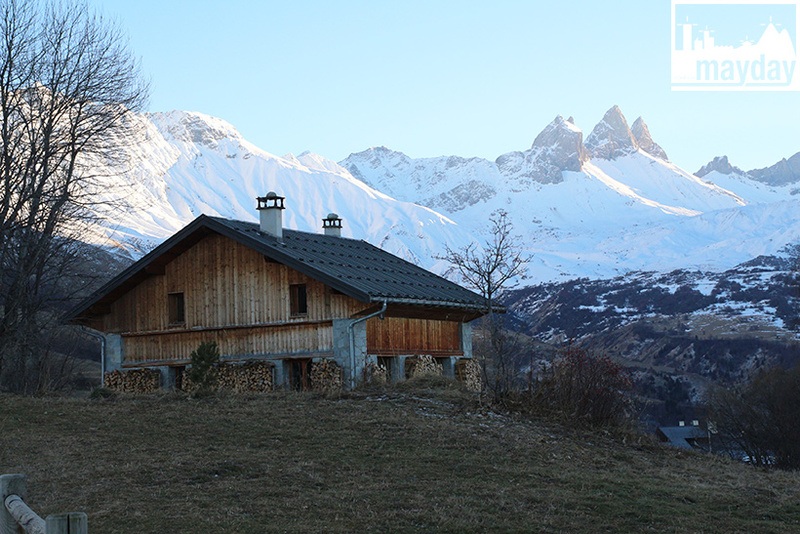 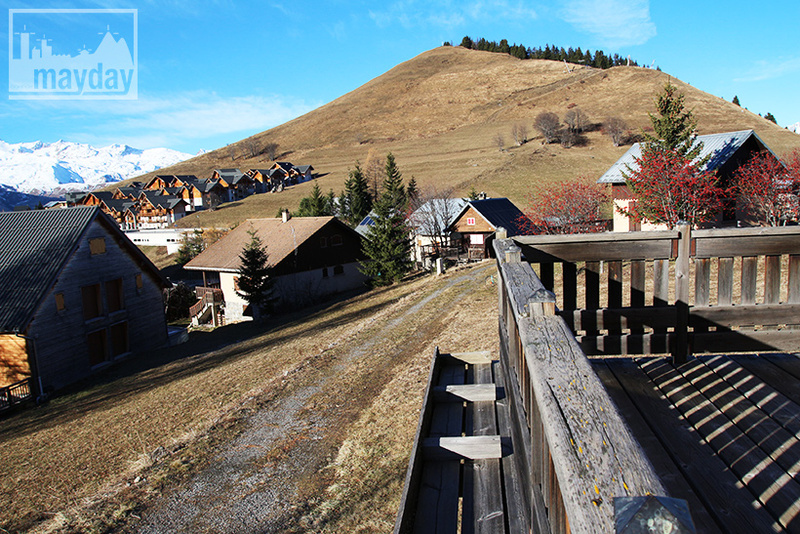 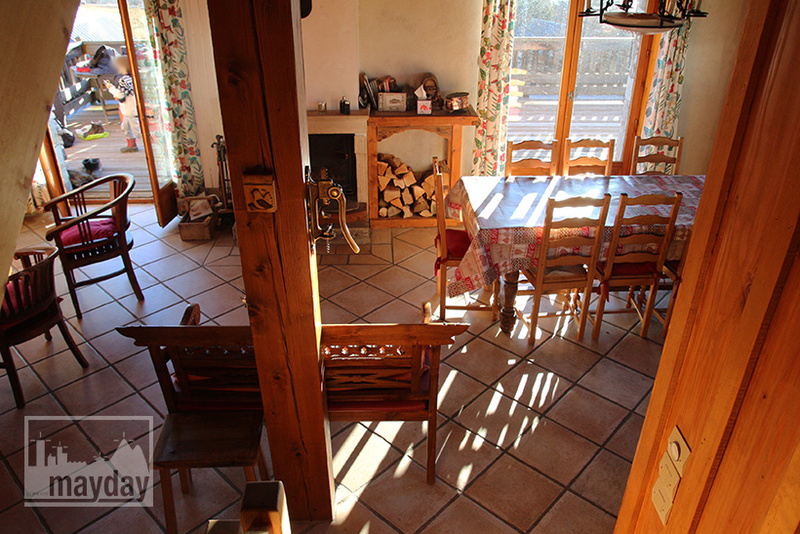 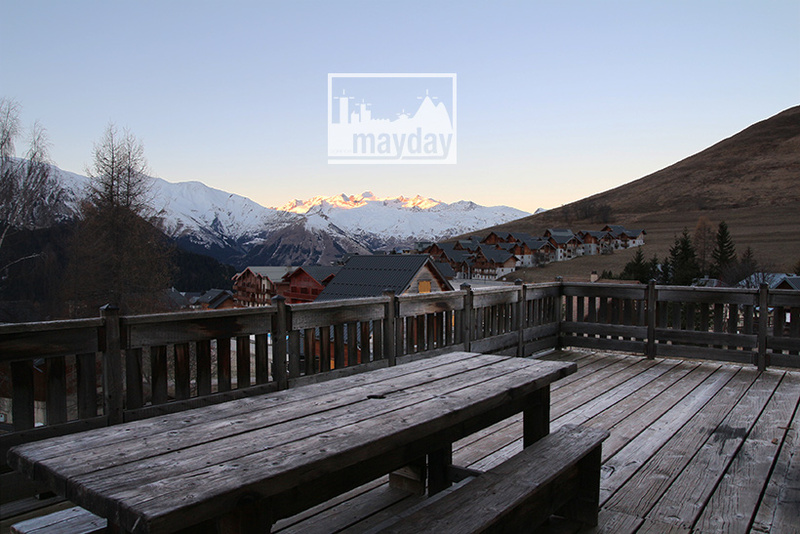 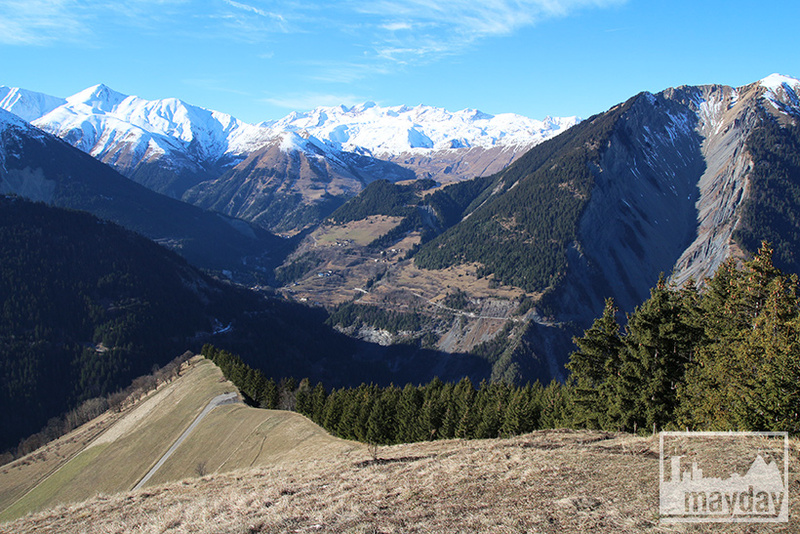 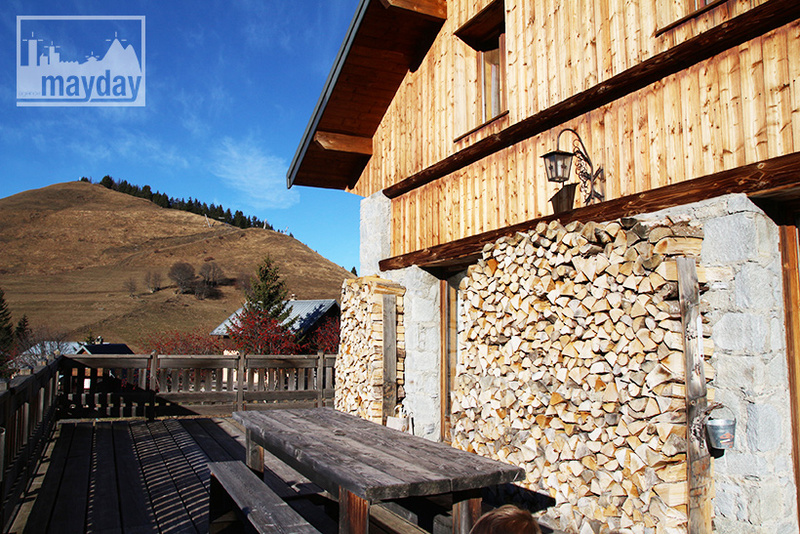 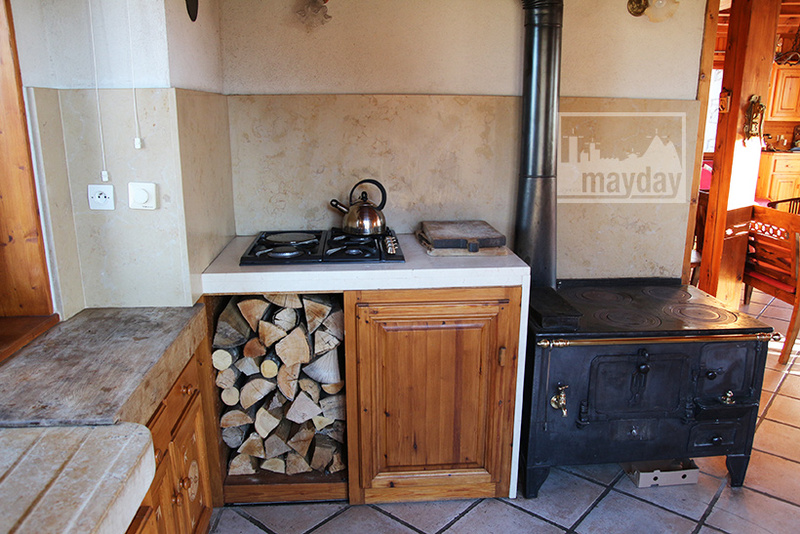 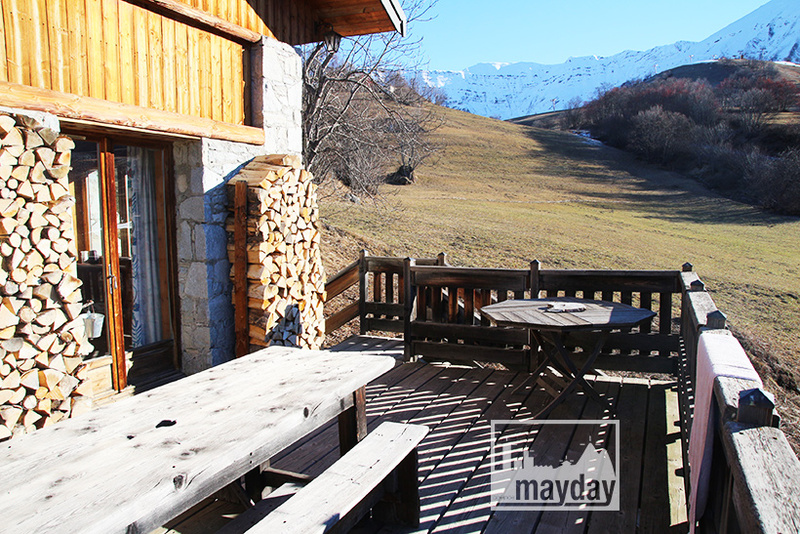 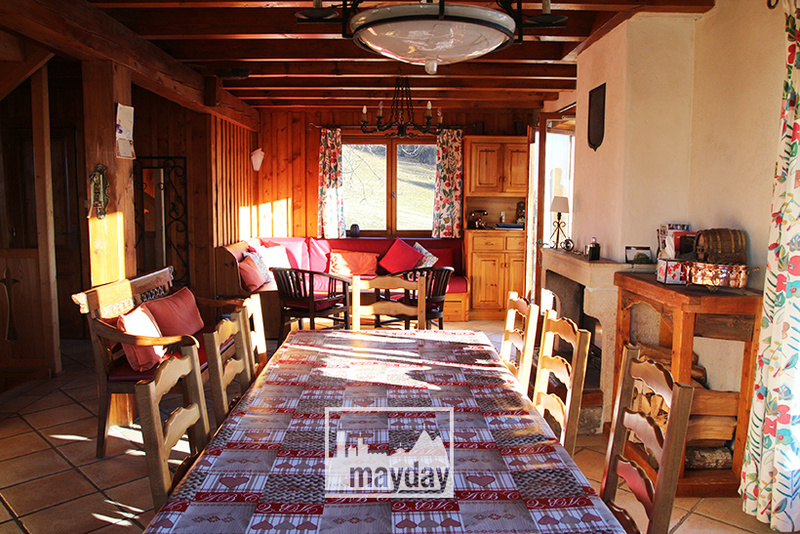 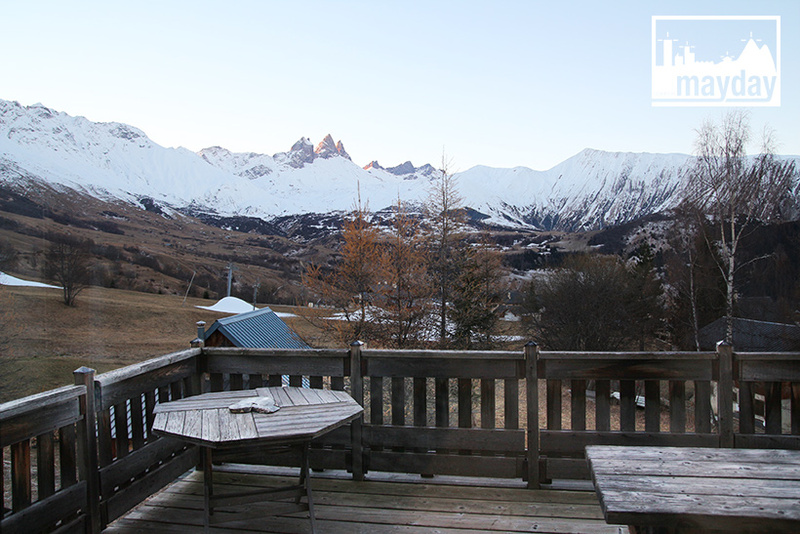 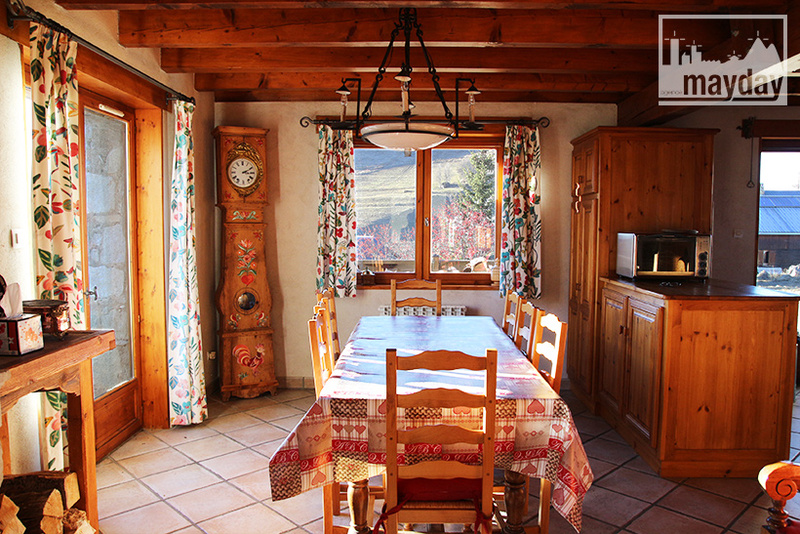 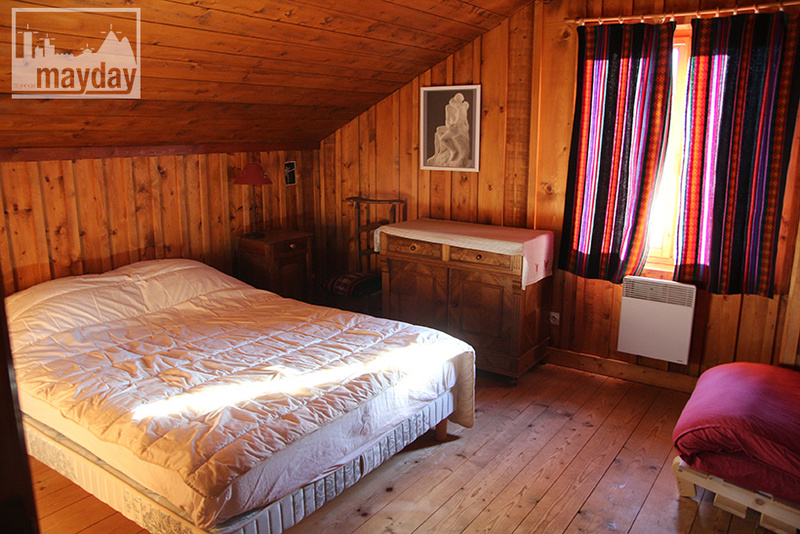 Authentic mountain chalet, Savoie (clav0116a) | Agence Mayday, scouting agency | Best location for your project concerning : feature films, TV, commercials, promos, photo shoot & events. 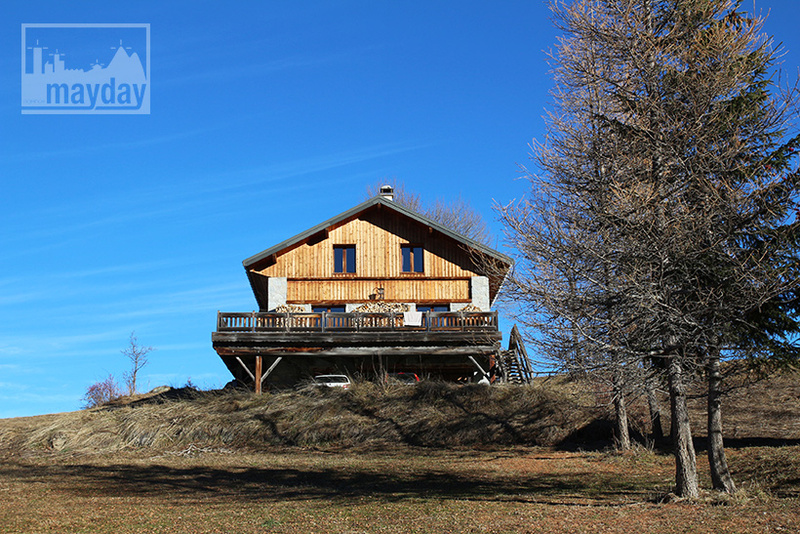 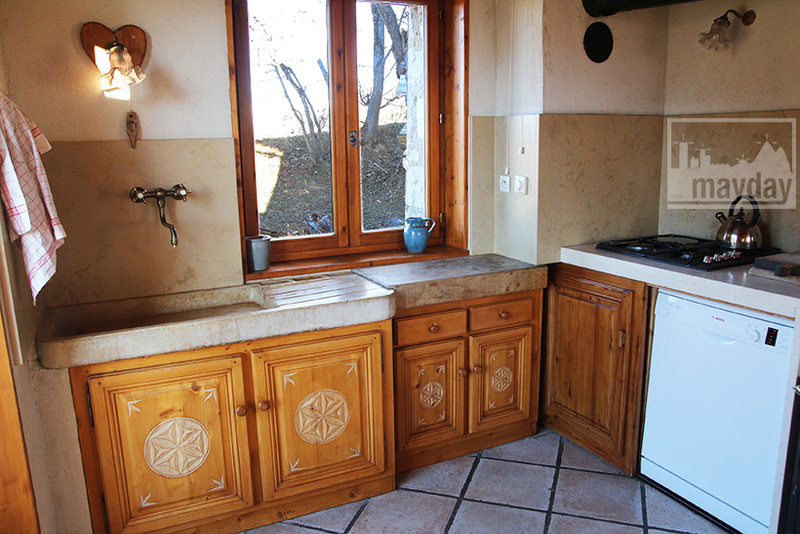 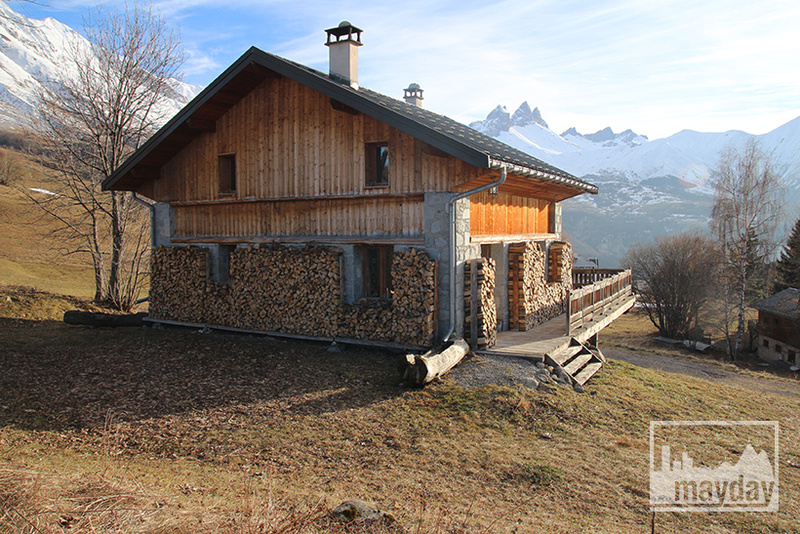 Situated near the ski slopes of a medium Savoie resort, this traditionnal 150 square meters chalet has a unique location. 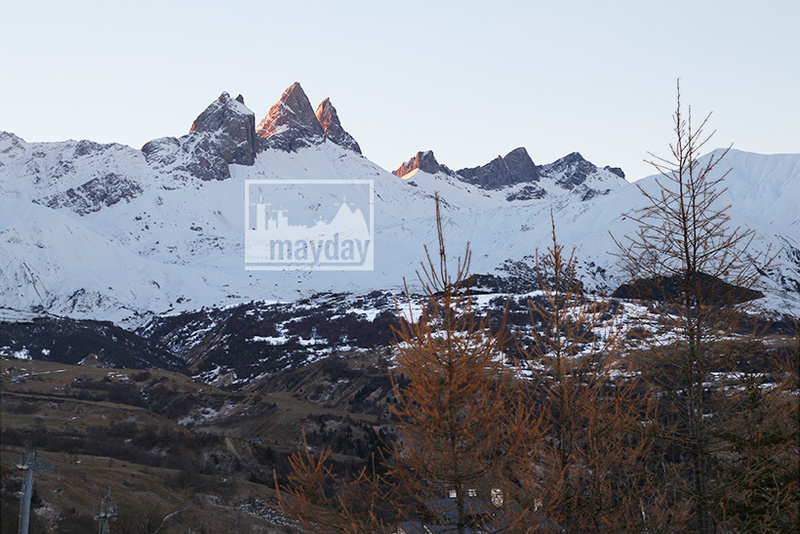 Indeed we could think we’re isolated in front of the «Arve’s needles». 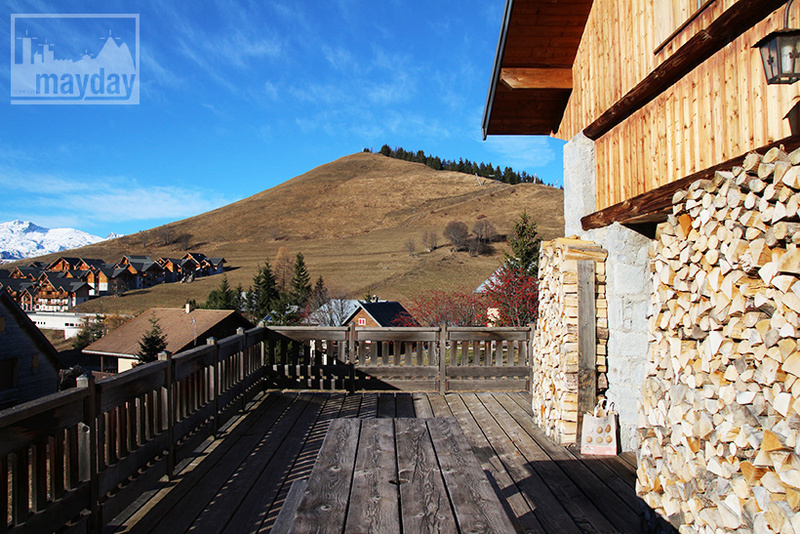 Panoramic view guaranteed ! 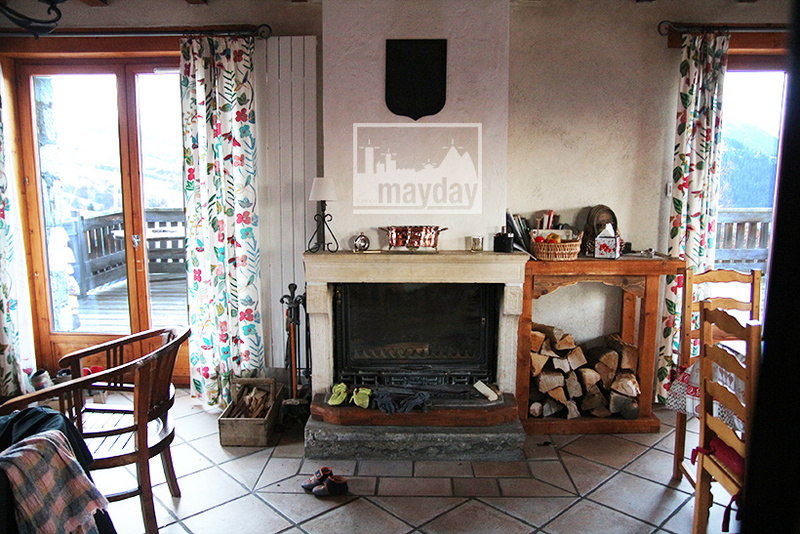 The rustic interior decoration respects the inherent spirit of the building : stone fire place, ancient stove, wooden bench.